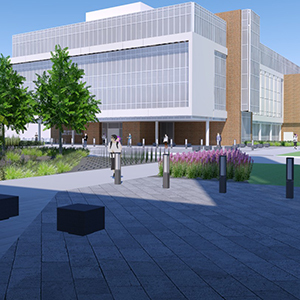 Proposed campus improvements following a thorough inventory and analysis process. 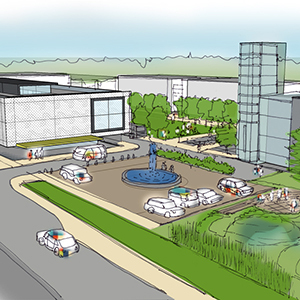 Aerial perspective of proposed improvements and the new Center for Nursing & Health Sciences. 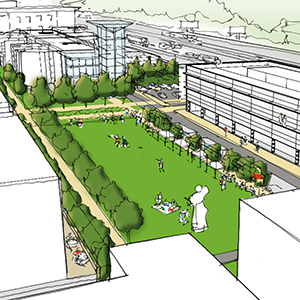 The location adjacent Forest Park and critical employment and transit connections makes the visibility of the campus improvements a crucial element of the design process. 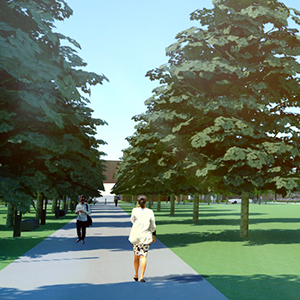 A new north-south drive from Oakland Avenue will become the primary entry to the campus and will define a new identity for students and visitors. 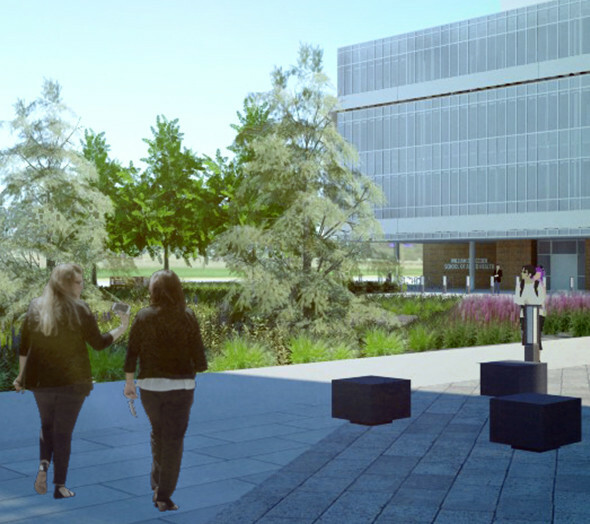 The entry is directly adjacent to the proposed building and also serves as a multi-purpose auto court and pedestrian plaza; offering flexible seating and a patient drop off area while acting as an event space or an area for staging mock automotive emergencies for student lessons. 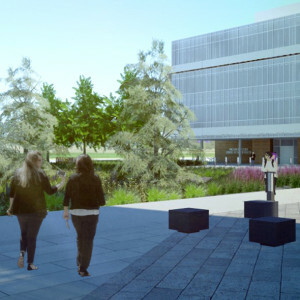 Expected to be awarded LEED Gold certification for sustainable practices, approximately 98% of the stormwater falling on this project site will be treated in the three bioretention areas where pollutants will be removed and groundwater will be recharged. 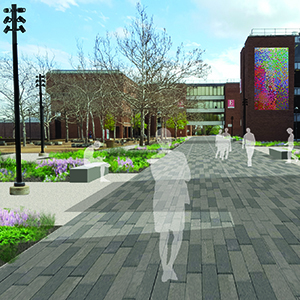 Plant species native to the Saint Louis region will be the primary palette for over 17,000 square feet of planting areas including ornamental beds bioretention. Native species will support biodiversity while their design arrangement will reduce maintenance and reliance on irrigation.